Expertly designed and crafted frames made for any purpose. 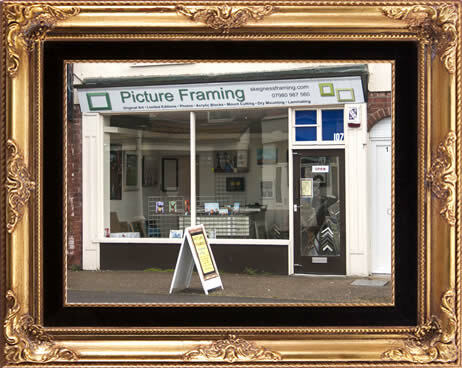 From simple photo frames to large objects, we like to think we can find a solution to all your framing needs. Take a look at the inspiration page to see a small selection of our work and have a browse in the Gallery for artwork currently for sale. Sat - By Appointment - please phone. Other times by appointment, collection and delivery available.